You are here: Home / Horse Welfare / Does self-regulation of animal welfare and abuse work? 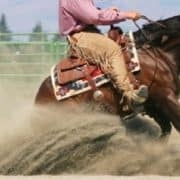 Many associations, like the National Reining Horse Association (NRHA), take an approach to managing animal welfare through self-regulation by trainers and the case study of the Tennessee Walking Horse tells everyone, that it fails. 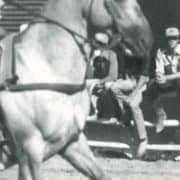 Over the past half-century, the treatment of the Tennessee walking horse has increasingly become more inhumane as they attempt to achieve higher stepping horses known as the ‘big lick’. 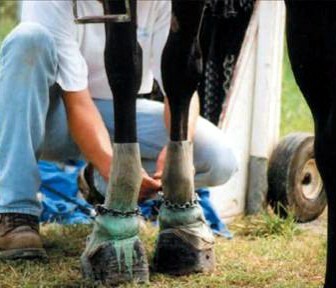 The trainers and owners have reached a point where now, these poor animals endure vile practices in which caustic chemicals, chains, hard objects, cutting, and other gruesome techniques are used to injure the horses’ front legs and hooves and force them to perform an artificially high-stepping gait known as the “big lick.” This sort of calculated, appalling cruelty should never be tolerated. The trainers self-regulate and the outcome is horrendous. Like the NRHA, the Tennessee walking horse has a welfare statement within its rules, but that has certainly not protected these beautiful animals from barbaric treatment easily identified on horses attending a competition. In competition, trainers are looking for that winning edge and across all disciplines you see people stretch the boundaries of welfare with the desire to win; some becoming animal abusers as they justify their actions to themselves. The horse no longer a priority as winning has become their image, their livelihood and there is always another horse waiting to enter the barn. 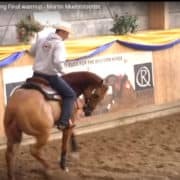 In reining warm-up pens across the globe, you can watch trainers as they push the boundaries and subject the horses to unnecessary pressure and pain in preparation for that moment of winning. Often sanctioned by others around them and creating a benchmark for other trainers also to push their horses to the limits at all cost to the animal. With medical evidence of the damage being caused by some practices, the trainers are defiant and attempt counter arguments against scientific facts. Owners may lack the knowledge, and some the heart, to understand the pain and suffering of their horse as they buy into the story promoted by the trainer as ‘how things are done to train show horses.’ The trainer, a perceived expert, using their position of influence on the owners to their own gain in justifying their conduct. Trainers, farriers and owners are indoctrinated into the idea that those is how you must treat the animal to achieve a high level competition horse. Is reining heading in the direction of the Tennessee walking horse? Are the boundaries now being pushed with the increasing rise of excessive spurring, jerking of reins, more aggressive bits and rollkur increase in the show pen? The wastage of reining horses increasing as animals are quickly thrown aside that will not submit to the excessive demands of the trainers techniques. The videos of the European FEI and just recently a video taken in the US demonstrate that it is becoming more epidemic and accepted. tried to work with and encourage the walking horse crowd to bring about change from within – but more than a few stubborn horse owners and trainers continue to think they are above the law. 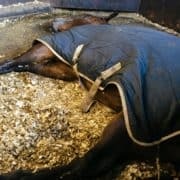 The US lawmakers now state the current system of self-regulation is still hopelessly broken, and nothing short of significant reforms will fulfill the intent of Congress and break the cycle of cruelty that is so endemic to the big lick walking horse circuit. With the awareness of the Tennessee walking horse plight and how they got there, is the NRHA going to move from self-regulation to a system of transparency and improvement that ensures the reining horse does not follow in their path? The Tennessee walking horse is bred for its smooth, natural gait—the running walk—and The HSUS supports the many owners and trainers who use humane training methods to showcase this natural gait, while also working to end the abusive practices often used to create the exaggerated high-stepping gait that has long been associated with soring. http://www.reiningtrainers.com/wp-content/uploads/2016/07/soring2.jpg 179 216 Animal Welfare http://www.reiningtrainers.com/wp-content/uploads/2016/06/RT-LOGO2sml-300x174.png Animal Welfare2016-07-29 02:44:182016-09-14 05:03:29Does self-regulation of animal welfare and abuse work? There is definitely a connection here and action needs to be taken to stop it. Could not have said it better. 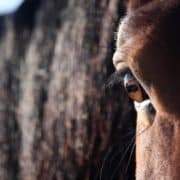 “The horse no longer a priority as winning has become their image, their livelihood and there is always another horse waiting to enter the barn.” My horse was one of the ‘just another horses’ and I found out the hard way and so did my bank account. There is no-one you can complain to as its just a big ‘mens club’ at the top.